You have a lot to deal with, driving across town for meetings, putting in the hours at the office, and keeping an active social life is tough. In short, life is stressful. It’s about finding balance. There’s one place many people don’t think about that creates a TON of stress: the closet. Think about it. You’re having “one of those days.” You slept through your alarm, the coffee maker’s broken, and there’s no food on the fridge. Bleary-eyed, you stumble into your closet in a rush to get to the office and audibly gasp at the massive pile of wrinkly clothes you’ve amassed. There’s no time to organize, though. You sift through the pile and find the least wrinkled shirt and toss it on. “I’ll deal with this tomorrow,” you say to yourself. Tomorrow comes, and once again you don’t deal with it. The cycle continues, and the stress builds up more and more. We get it. Organizing your closet is tough. But, the benefits of a nice, neat, organized closet are immeasurable. It’s time to get some Feng Shui into your life. Your home should be organized and clean. Getting home from a long day at work to wallow in a giant mess is annoying and stressful. This is where Feng Shui, the Chinese practice of creating harmony and balance in your living space, comes in. Practitioners of Feng Shui believe that a balanced, clean closet unblocks energy and allows it to flow throughout your home nicely. A clean flow of energy decreases stress and creates a more inviting space for everyone. No matter what you believe, you too can benefit from this practice. Here are some tips. This first thing is pretty simple. Long story short: you probably have too much stuff. Don’t worry, it’s natural. Sometimes we don’t have time to think, “do I need my old high school hoodie?” Mark out some time on your calendar to sit down in your closet and take an inventory. Grab a trash bag and throw away those ratty old jeans with extreme prejudice. Make some space. Don’t stop at just clothes, either. You can probably do without that old shoebox of baseball cards, too. You’d be surprised at how much space and energy that an hour spent decluttering your closet can create. Now, that you have made more space in your closet, you might need more organization. 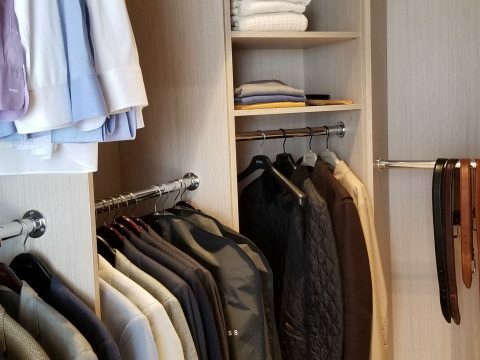 If this is the case, you might want to contact a contractor who specializes in custom closets who can help you reach your maximum storage potential. 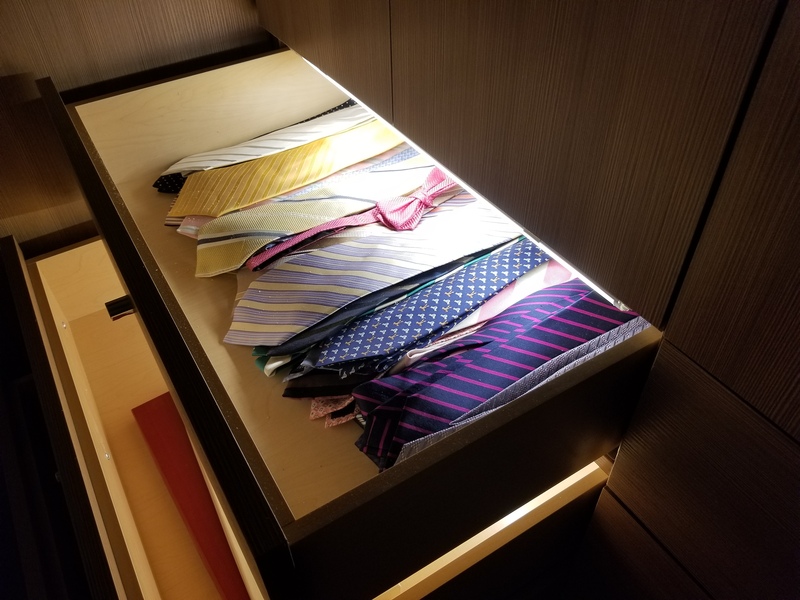 If you find yourself wanting more out of your closet, I recommend you employ them to both design and install your closet versus getting a pre made solution from a big box store. This way you can get exactly what you need without having to settle with bad fitting cabinets. Don’t stop at just color, though. Organize your clothes by type, and THEN organize by color. Your future self after a long day battling traffic on the freeway will thank you. You’ve done it. You’ve turned your crime scene of a closet into a well-organized, efficient space that lowers your blood pressure. Congrats. Now, take a look at all that space you have. It’s time to jazz it up a bit. Maybe put a nice plant in that spot where a giant pile of t-shirts was. Add some moody lighting to bring a sense of calm. Use your imagination! All this sounds as if it can take forever. And given your closet situation, it might. The reward, though, is a beautiful closet that won’t make your heart explode just looking at it. So buckle down, grab a trash bag, and get to unlocking your closet’s perfect Feng Shui.